Honest, Accurate Reading and my readings are fast. Call Now for a Clairvoyant or Tarot Reading from a 5 star Psychic with over 24 years experience. I am a clairvoyant. I first discovered my gifts as a teen. This amazing gift is multigenerational and runs on both sides of my family. My specialty is reading people's energy. I can tell you everything you want to know about a person with just their first name. I am certified to clear negative energy, stress, and unhealthy behavior that is keeping you from living your best life. I also do tarot, past lives, dream interpretation, find lost objects, and pet readings. My readings are fast honest and straight forward. I will give you the answers you need to clarify and change your life. I love my clients and will give my all to each reading and every person I am fortunate enough to connect with. Thank you for the helpful reading. 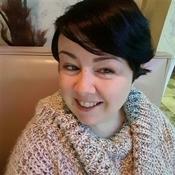 My name is Jennifer Moran, I was born legally blind, and I am a psychic clairvoyant with over 24 years of experience. I am one of the Top Ten Psychics on Keen. I can provide you a psychic love reading, or focus on career, family, and personal growth. I can even help you with developing your intuition and clairvoyant ability. I have a genuine gift. I read energy and will give you a fast, accurate, honest, real empathetic reading. Call me now to get your reading. Due to the fact that I am visually impaired. I have a friend answer my Keen Mail. For Minutes: Please write a Keen Mail. Jennifer Moran has been a user of Keen since 2001. Getting Life Questions advice from Jennifer Moran through www.keen.com is safe, secure and confidential.